Three Zambian legends: the sophisticated group The Big Gold Six featuring the jazzy guitar of Bestin Mwanza, the sweet singer from the province Emmanuel Mulemena, and the cosmopolitan Nashil Pichen Kazembe. Now we can finally hear how they sounded – and what we hear are three different great vocal sounds and three different great guitar sounds, that could only have come from Zambia. So once again put yourself in a dancing mode and let yourself be zambushed by this beautiful music! Total time: 69'58". 24 page booklet. Tracklist: by The Big Gold Six: 1. Titwe Titwe, 2. Lukombo, 3. Kanya Titi Kalila, 4. Jairo, 5. Antu Onse Tingwilizane, 6. Ku Nakambala, 7. Mumbanda, 8. One Zambia One Nation, 9. Bana Mayo Banomba, 10. Mulya Wondwe, 11. Musendayi We Mwana, 12. Tunsensele Ingombe Balalaya, 13. Copper Ebuboni. By Emmanuel Mulemena: 14. Mbokoshi Yalufu, 15. Ki Bukwe Hya Mutown, 16. Shukka Shukka, 17. Imbote. By Nashil Pichen Kazembe: 18. A Phiri Anabwera, 19. Peace Work, 20. Mpandileko, 21. Chuma Chivuta, 22. Mwamuna Wanga Mwana. Global Rhythm 2005 (USA): "SWP has been responsible for enhancing what we know of vintage Zambian pop music. It’s volume two’s earlier recordings that prove truly indispensable." 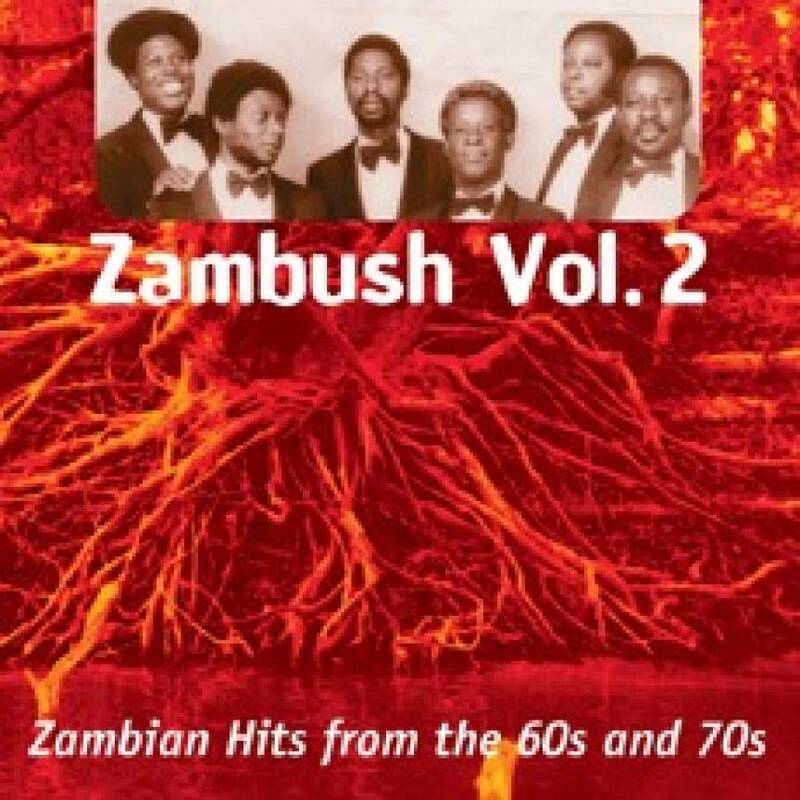 Songlines 2005 (GB): "Zambush Vol. 2 is another superb example of how SWP have mastered the art of reissuing lost music in an appealing and highly informative fashion."